Pure silicon crystals in a small cavity inside a bigger piece of silicon. 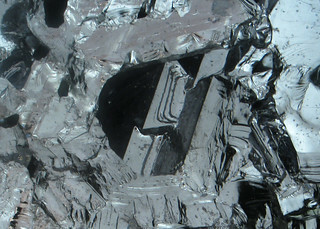 These crystals can be considered as gas phase grown. This photo was composed of multiple photos using focus stacking, The field of view is about 8 mm wide.